The sensory perception of terroir in wine is likely to derive more from bacterial and yeast influences than soil, according to a new report that questions the validity of “minerality” as a flavour descriptor. An article published this week in New Scientist examines the latest research into factors that could create an impression on the drinker that their wine tastes of different soil types, such as flint for Chablis or granite in Beaujolais. In a bid to understand better the chemistry of terroir, the report highlighted an experiment using mass spectrometry on Pinot Noir grapes managed by the same person but lying two kilometres apart in the Côte de Nuits. The results showed notable differences in the fatty acids, cholesterols, flavanols, phenols and other compounds in both the grapes and their wine. These findings are supported by research carried out by Rosa Lamuela-Raventós from the University of Barcelona, who found that wine from Garnacha vines grown in richer soil has muted colours, fewer aromatic phenols and a lesser potential for improvement with age. Among the roles played by bacteria is an effect on a vine’s metabolism and chemical defence against insects. Meanwhile, the “community” of microbes available for the vine to draw on can depend on factors such as the pH in the soil, which in turn can vary not just between vineyards, but individual rows of vines. However, the article maintained, “Of all the microorganisms, it is yeasts that probably have the biggest effect on taste.” It noted the role of yeast in fermentation, a process that creates “400-plus” compounds that can affect the taste, aroma and texture of wine. With the trend in recent years towards using wild yeast found naturally in the vineyard and winery rather than commercial yeast, this particular aspect of terroir is making its presence even more powerfully felt in the wine, even if the sensory change is often attributed to soil instead. For all the microbial differences between sites, the scientists researching Pinot Noir in Burgundy found even greater distinctions between grapes grown in the same location in different years, a result that led them to highlight the additional significance of weather on a wine’s flavour. Alongside this advice on how the wine industry can adapt to protect its long-term viability, these findings on the sensory importance of yeast and bacteria went some way to explaining why efforts to replicate the world’s most admired wines can fall short, despite close similarities of soil, grape variety and climate. 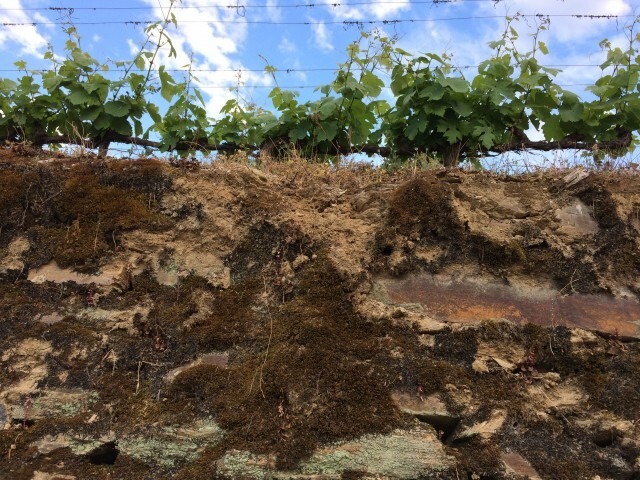 These complexities add further to ongoing debate about the nature of terroir, with Australian winemaker Bill Downie arguing that in his own country the most significant influence is not soil but light.